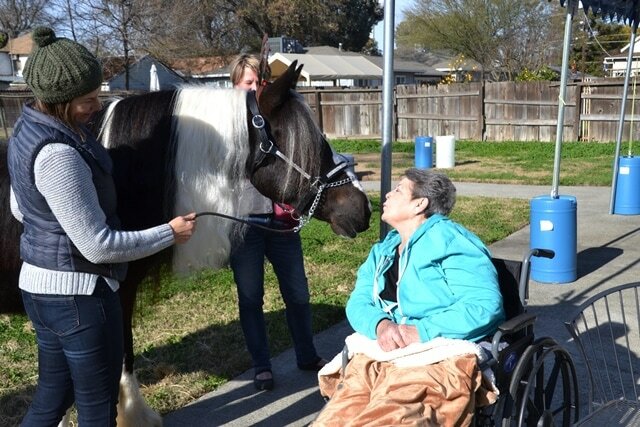 ​A 501c (3) non-profit organization that utilizes Gypsy horses for human and horse assisted activities, therapies, emotional healing, community outreach, education and learning. Welcome, we invite you to experience Gypsy Magic! Now available! Gypsy Magic Equine coloring book and story available for a donation purchase for that special someone. 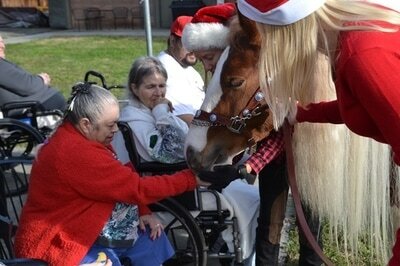 All proceeds go to the Gypsy Magic Equine Outreach program and supports the "Read With Me" program. We are happy to announce that the Windsor Skilled Care and Rehabilitation Center has been chosen as one of our more regularly attended Joyful Encounter outreach locations for 2019. Why are Gypsy horses so special? The true Gypsy Horse is a traditional horse and has been used by the Romany people or "Gypsies", in Europe for many years. The Romany people bred colorful, feathered cob horses to pull their ornately decorated carts and living wagons, or "Vardos", thru the countryside of England and Ireland. They were considered to be members of the family and gentle enough for the family’s young children to ride. They were specifically bred for a wonderfully gentle nature and family friendly personality. 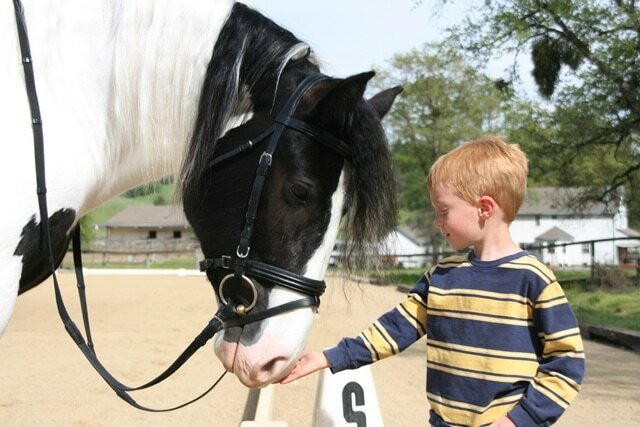 As a result of this incredible nature, Gypsy horses lend themselves quite naturally to outreach work and the gentle demeanor of the Gypsy horse especially seems to have a unique ability to connect and interact with people of all ages. We thoroughly enjoy bringing this “Gypsy Magic” for people to enjoy. Would you like to help support the program? Please visit our Support and Donate Page.